Disclosure: I received a Photo Mosaic for review from Canvas Pop. All opinions are my own. I love taking photos of the kids but have become lazy again in printing and/or making photo books. Since most of the photos on display in the house are of the kids when they were younger, it was time for an update. Canvas Pop offers a variety of products to display your photos and I was drawn to the Photo Mosaic. It literally took me minutes to create my awesome Photo Mosaic. You have the option of canvas or framed print. I went with framed because I was initially thinking of placing it above our headboard as there is nothing currently there. 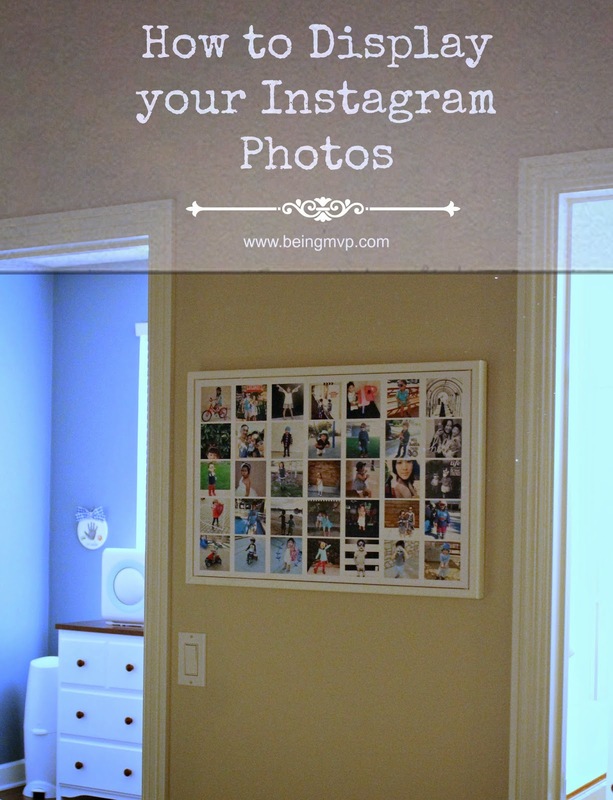 There are many sizes to select from depending upon the number of photos you want to display. The 16" x 24" can accommodate 12-187 images - whoa! I easily connected my Instagram account online and then proceeded to select my photos. I chose my favorites and added a white frame because I've been really into white decor for the home. I patiently waited for it to print and arrive at the house. It was packaged with ultimate care and was expertly handled by the mail service and arrived in pristine condition. The quality of the photo mosaic on canvas was impeccable and I was thoroughly impressed. It was ready for hanging and even came with the hanger. I decided to hang it in between the kids' rooms so they (and I) could see it every time we passed by. It's awesome and I want to update every so often! How do you manage all the photos that you take on your phone? One winner will Receive a 12"x12" Mosaic! I would like a long lanscape canvas for above my couch. I would display photos of my children and grandchildren in a collage. Our pets are our kids so I'd love a wrapped canvas print of our pup or cat. It would be fun to get a triptych! The mosiacs are fun too and I would probably get all family photos in it. I like the Word Art Maker. My mosiac would have photos of my kids and dog! I love photography and taking vibrant and also black and white pictures so I would choose the best photo's I have taken from the last 5 years and create a mosiac. I really like the Triptych Canvas. I would put pictures of all of my family in it!! I like the word art maker - I would use photos of my kiddos. I would display family photos in the photo collage. I like the panoramic photos and I would use the pictures from my trip to Italy. I like the word art maker. I would use my favorite photo that I have of my daughter! I would like the Word Art Maker and I would use my family picture. 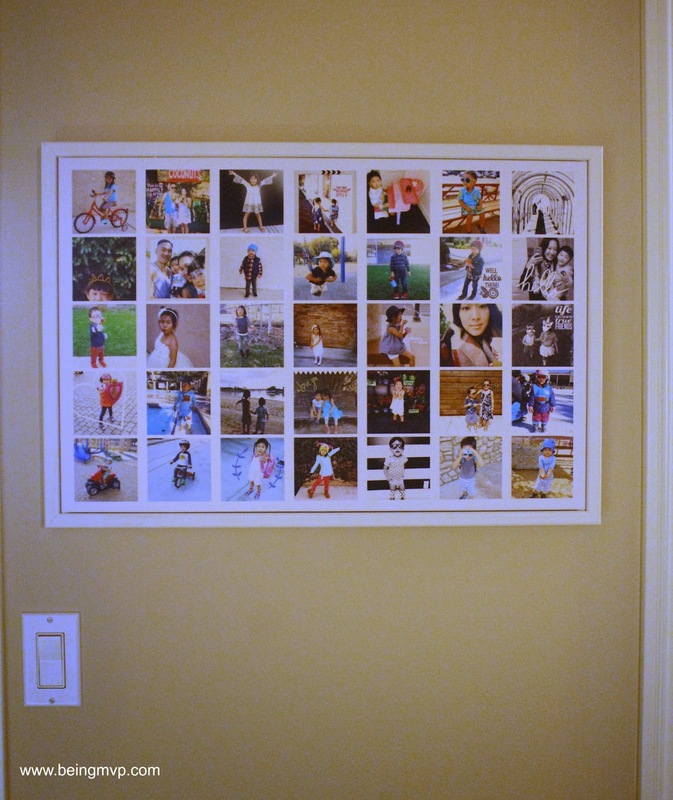 I would display my kids pictures in a photo collage. I also like the Triptych Prints. I'd use our daughter's photos in the Mosaic if I won. I really like the Word Art Maker and if I were to win, I would fill my mosaic with pictures of my friends and family. I also like the Word Art Maker software. I would fill the mosaic with pictures of my family. Thanks for the giveaway! I also like the framed art prints. I think I would use pictures from our recent trip to Disney World for the mosaic. I like the Word Art Maker™. I would put pictures of my family on mine. I want a series of smaller framed artwork to display my photos. My mosaic would be made up of all of my travel and camping photos! The TRIPTYCH CANVAS ART is pretty neat. I would do a mosaic with all pictures of my kids. I have so many with nowhere to put them, that would be perfect! I would also love to have some framed art or the triptych canvas art. I would put landscape pictures taken from our trips to national parks. I really like the panoramic photo prints! I would display my daughters pictures in a photo collage. I think the word art maker option is pretty cool with a custom photo, and I would use photos of family and pets for the collage. I would give this to my nephew who is heavily into Instagram. He would use photos of him and his friends probably. I also love the Triptych canvas print. I would love to get the photo collage of photos of my son. I like the Panoramic Photo Print! That would be fun to do with a vacation photo. I like the Word Art Maker and i would display family pictures. The facebook prints are cute too! I like the Photo Collages! I'd use pics of my kiddos of course! I would love to have, and I'm going to have it done soon, a triptych print. I've seen these but didn't know what they were called. I would have it done of my two daughters. I am so impressed with there work. I have spent way more time than I should have looking at all they can do. 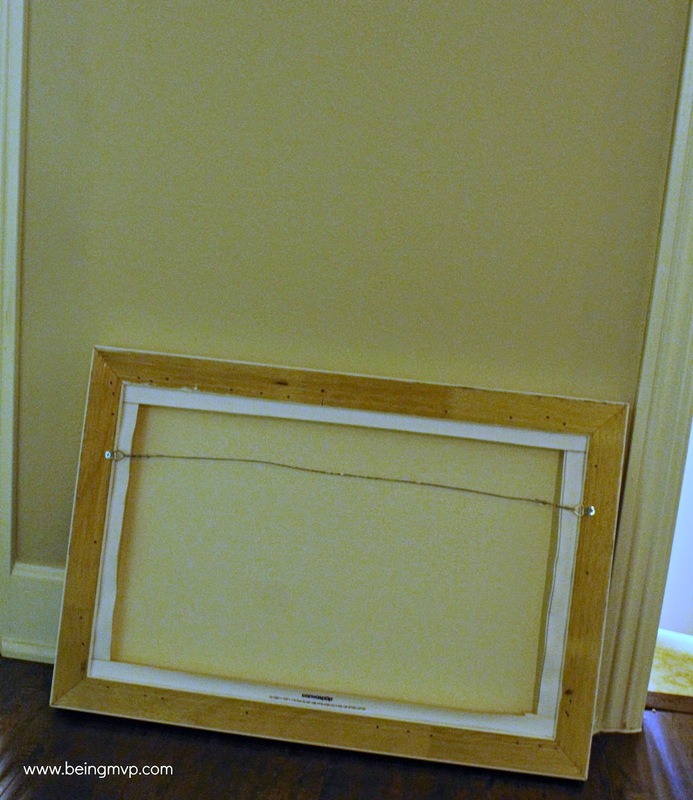 I love the tryptich canvas, I would put pics of the kids on mine. I'd do a mosaic showing my child's growth. I also really love their triptych canvas prints; it's an easy way to transform an image into a really eye-catching display! i would use the triptych canvas print to display a fantastic picture i took of the coliseum in rome last summer!! I like the word art maker. I'd use picture of my family if I won. I would love to get one of their large canvas prints. I also like the Triptych Canvas. I'd use photos of my six kids and dog. Thanks. I would probably get pictures of my puppy and my family in my mosaic. I have so many pictures that I love and never had printed, and this would be a great opportunity to put some of those great photos on display. I like the 16x24 Photo Collage. I would put pictures of my kids on the mosaic! I think it's cool you can also use Instagram pictures. I would get photos of my daughter into the mosaic. I like the framed art prints. I like the Triptych canvas to use for vacation photos. I also like the Panoramic Photos--they can be so dramatic. We would have to decide on making a mosaic of photos of all the children, or just doing them one at a time. I would love a large canvas print. I would put a bunch of pictures of my precious daughter in my collage. PANORAMIC PHOTO PRINTS as well. I also love the word art maker and I would use this for pictures of my daughter and my bulldogs. I'd love to have a set of canvas triptych prints for my family room! For the mosaic, I'd definitely get prints of my daughters. I'm ashamed to say that I haven't been very good about printing new pictures of them as time passes! i just love the Triptych canvas prints .Very well done !! I like the 10x10 canvas print. I think I would put vacation or halloween pics on a canvas. I also like the Triptych Prints. I love the Triptych Canvas Art and would showcase our wedding pictures from last summer! I would love to get one of pictures of me and my daughter! I love the framed prints! and I'd use pics of the kids, hubby and me, and our furbabies! I would also like to have a photo collage. I would put photos of my children and pets in it. A triptych canvas print would be nice in my living room. I would love to use photos of my kids. Everyone is always looking forward to receiving a giveaway and I admire that myself. I even went to www.55printing.com/cheap-canvas-printing and got a canvas digitally printed in my home and it looks fabulous.